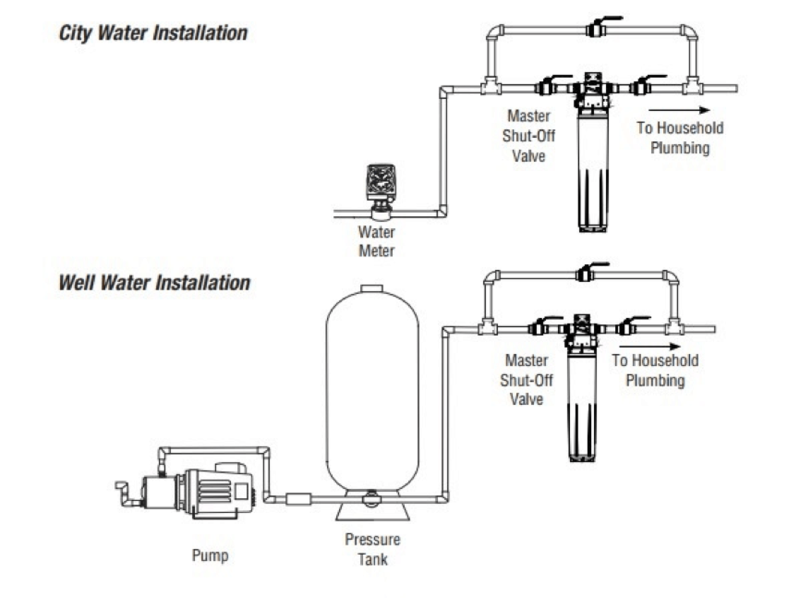 Water Filtration - Poole's Plumbing, Inc. If you are looking for bottled water quality form the faucets in your home, we have the solution! Poole’s has installed these filters in dozens of homes, with excellent results. 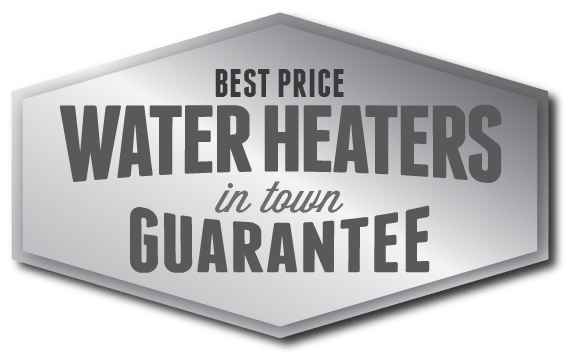 We can visit your home to collect a water sample and determine where the filter(s) could be located, and what is required to install, so that we can give you accurate pricing for the job. 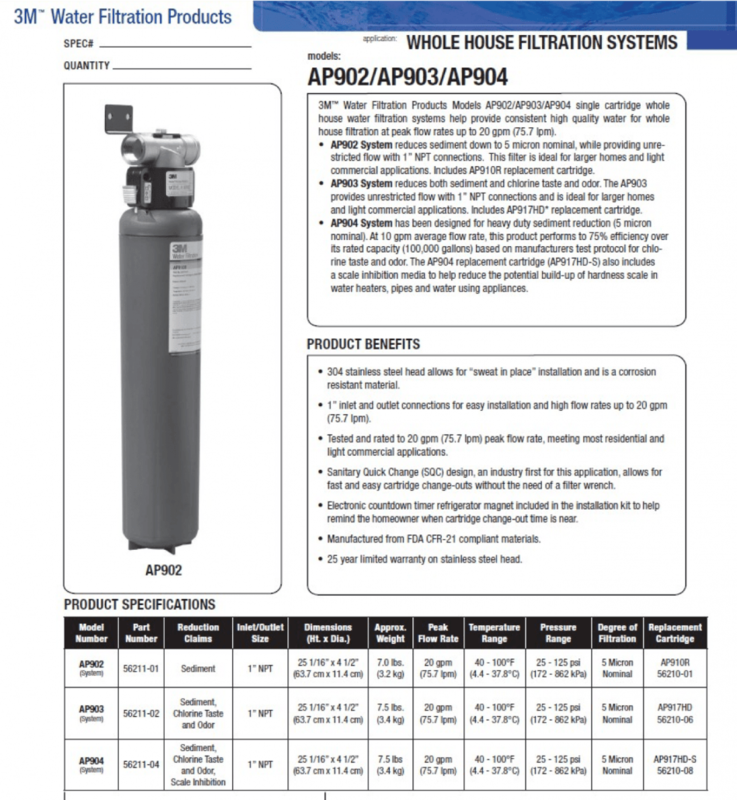 The AP903 and AP904 3M Aquapure whole house water filters are the best choice and will deliver an average of 100,000 gallons of filtered water with an average period of one year between cartridge changes. Cartridge replacement takes about two minutes and is very easy to do – no filter wrench required. The AP903 is for sediment, taste, and odor, and the AP904 is for sediment, taste, odor, and scale / hardness reduction (this is not a softener – if your water is 3.0 grains of hardness or above, you should consider a whole house water softener). 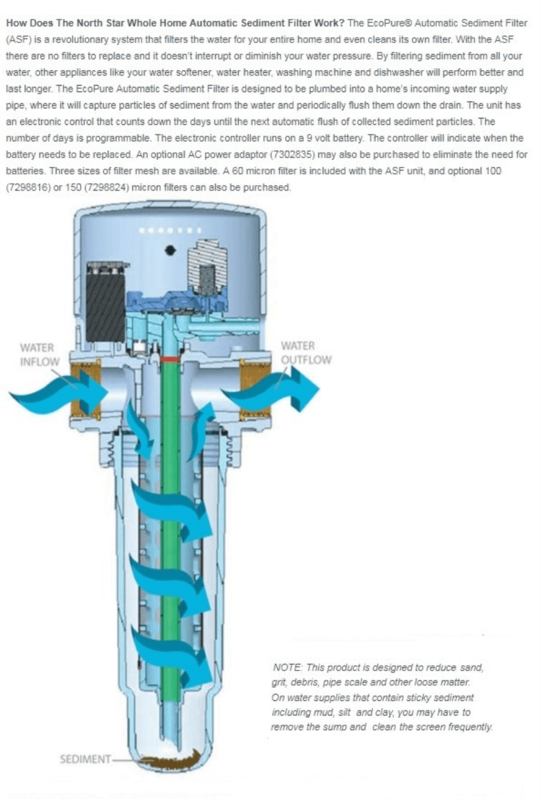 If you have a high sediment content, we can install an automatic sediment filter to remove the majority of the sediment from your water before it passes through the AP filter, which will increase the lifespan of the main filter. 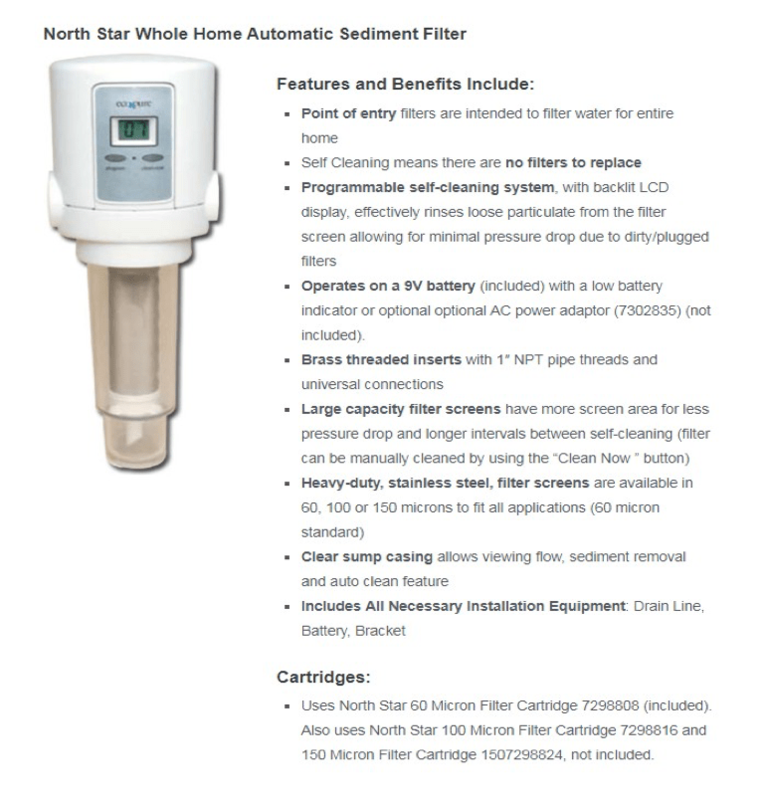 The NorthStar Ecopure sediment filter automatically flushes itself at appropriate intervals. It includes an AC adapter and has batteries for backup power. See below for information on the AP and Northstar filter equipment. 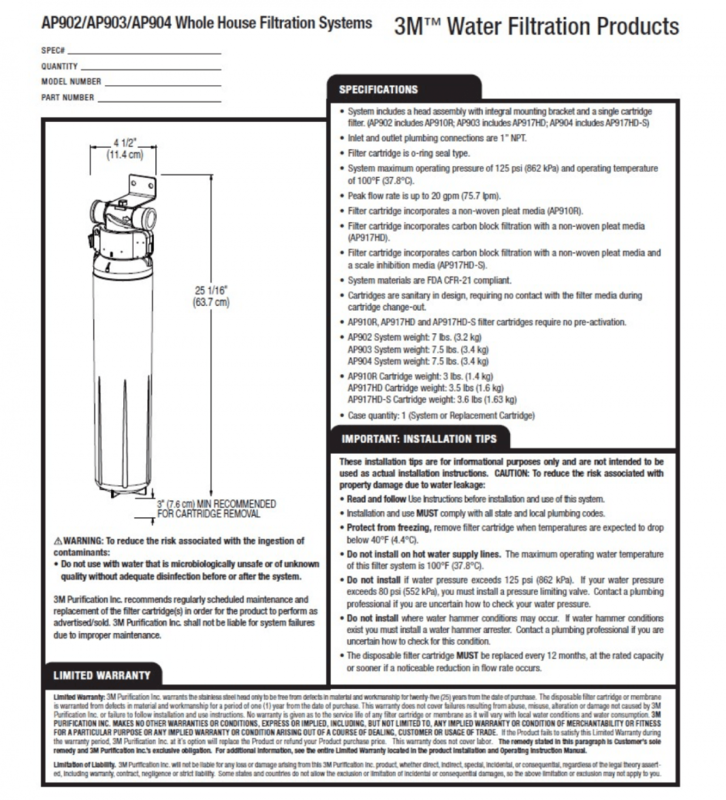 High-capacity cartridges are easy to change and can last up to a year in a typical installation.